Autoimmune diseases are conditions where the immune system attacks the body organs instead of foreign invaders. 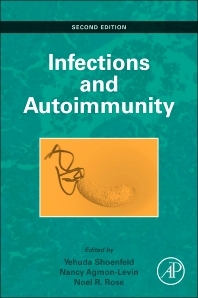 This book deals with the various mechanisms by which infectious agents can trigger autoimmunity such as molecular mimicry and polyclonal activation. An overview is given with regard to bacteria, viruses, and parasites associated with autoimmunity, and a summary is given on classical autoimmune diseases and the infecting agents that can induce them. Chapter 16: Can Antibiotics Cure Autoimmune Diseases? 3 EBV and SLE, RA, MG: Different Target Organs and Different Diseases, Same Virus? 5 EBV Replication, Common Variable Immunodeficiency, and Autoimmunity: Which Comes First? 6 Does the Butterfly Effect Matter? 7 Conclusions: Autoimmunity and the Butterfly Effect? Chapter 28: Helicobacter pylori Infection and Gastric Autoimmunity: Coincidence or a Cause and Effect Relationship? 9 Does H. pilori Really Induce Autoimmune Gastritis? 6 A Role for Chloroquine in the Reduced Prevalence of SLE in Countries With High Malaria Prevalence? Chapter 43: Rheumatoid Arthritis and Infections: More Than an Association? 4 Is PD a Trigger Factor for AID? Nancy Agmon-Levin, MD is a senior lecturer at the Sackler Faculty of Medicine of the Tel-Aviv University. She is a graduate of Hadassah medical school in Jerusalem, Israel. Dr. Agmon-Levin has completed her residency in Internal Medicine and fellowship in allergy and clinical immunology at the Kaplan medical center in Israel. During the last 6 years she has worked as a senior physician and a scientist as well as the deputy head of the Zabludowicz Center for Autoimmune Diseases at the Sheba Medical Center in Israel. Dr. Agmon-Levin is the president of the Israeli association for Allergy and clinical immunology. Dr. Agmon-Levin is active in research, training, education and patient care. She has over 100 peer reviewed publications mainly focusing on various fields of autoimmunity research, autoantibodies, roles of vitamin D, hormones and environmental factors as infectious agents and vaccines in the pathogenesis of autoimmune diseases. Noel Rose was born in Stamford, Connecticut. He attended Yale University for his undergraduate education followed by the University of Pennsylvania for a Ph.D. and State University of New York at Buffalo for an MD. He was a member of the faculty of the State University of New York at Buffalo School of Medicine for a period of 20 years, rising through the ranks to become a professor of Microbiology and Medicine, Director of Clinical Laboratories and Director of the Center for Immunology. He then spent ten years at Wayne State University School of Medicine where he chaired the Department of Immunology and Microbiology. In 1981, he joined the faculty of Johns Hopkins University as chairman of the Department of Immunology and Infectious Diseases. 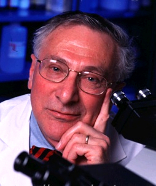 He presently holds professorial appointments in the Departments of Pathology, Molecular Microbiology and Immunology, Medicine and Environmental Health Sciences at The Johns Hopkins University and directs the Center for Autoimmune Disease Research. Dr. Rose’s original investigations on the autoimmune basis of thyroid disease in 1956 opened the present era of research on autoimmunity. He has since investigated many areas of autoimmunity and related issues in clinical and basic immunology. 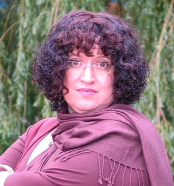 Dr. Rose is the author or co-author of over 800 scientific papers and editor or co-editor of 24 books. He has received numerous honors, including two honorary doctoral degrees, election to fellowship in national or international societies, service in national and international organizations and editorial boards of leading journals.